Outstanding Crochet: The winner of Colorful Crochet Lace give-away. The winner of Colorful Crochet Lace give-away. 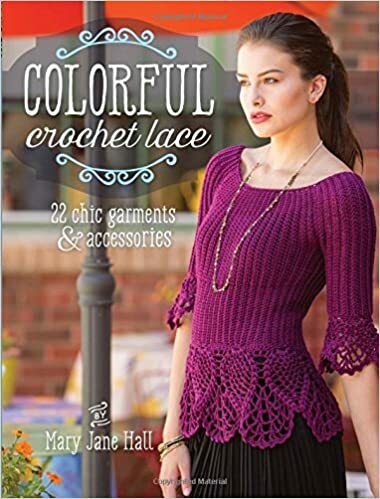 We have a winner of Colorful Crochet Lace by Mary Jane Hall give away! This is craftsonthego. Congratulations to the winner and I will need her to contact me. My e-mail is in the comment of the original post. She should have received a notification from Google+. Thank you, everybody for your interest! I intentionally decided not to use special give-away services, because they attract freebie seekers, who might not even care about the book and lower chances to win for my readers. I am thinking of doing an interview with Larisa Chilton, the owner of IrishCrochetLab.com next and have a give-away in form of a pattern/tutorial for one of her Irish Crochet technique creations! "I intentionally decided not to use special give-away services, because they attract freebie seekers." I think that this is a good idea. I once read an article about this topic, which said, that most of the people attracted by this do not return afterwards.